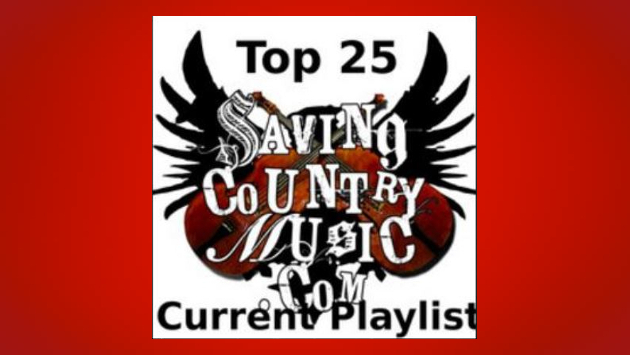 Very excited to share the latest additions to the Saving Country Music Top 25 Playlist, which includes songs from some great records and artists that need to be on your radar. Ben Jarrell’s debut LP Troubled Times has been setting people’s hair on fire, and there’s nothing better to get the blood pumping at the top of the playlist than his song “Black Helicopter.” Coming in right behind that for the newest additions is Austin, TX’s Kathryn Legendre, who’s released an incredible country heartbreaker in “Sit Here & Cry” off an upcoming EP. Two songs from just released records that also need to be on your radar include “Cryin’ Shame” by David Quinn, who’s your fix if you like that Luke Bell, Pat Reedy-style of old school country, and blind country music performer Matt Carson, who has just released an album called No Regrets, and his excellently sung and composed track “To You” makes the cut. And last but not least, you probably would have never guessed that a song from mainstream-signed performer Morgan Wallen would ever make a Saving Country Music playlist. But his cover of Jason Isbell’s “Cover Me Up” is just too good to be denied. Glad you included Morgan Wallens cover. It is an excellent cover in my opinion, love the addition of the steel guitar. He has talent and is definitely capable of making quality music. Would love to hear your thoughts on Midlands new single. New acts, new songs, back to the old format & still no Spotify. The longest playlist (so far) & australian country music is back on track after a couple of so-so month. Did you ever consider putting the newer release of Deer Tick’s “Cocktail” on here (with Spencer Cullum)? I love Deer Tick. Is that from a new album. I saw something about Mayonnaise on social media. Back in the day the were the only band I’ve seen drunker than me. We saw them in Morgantown last year and where very good sober. I’ll look for their new album. It was on Volume 1 which came out in 2017, but the version that was included in Mayonnaise is a bit more country. Props for calling Logan Ledger early. That Starlight tune is a jam. Trigger, any plans on reviewing the new Karly Driftwood album? I would really like to hear your perspective on it. I’ve been listening it on repeat this weekend after never even hearing of her before. Thanks for the suggestion. I will have to check it out. It’s a bit weird, but I don’t like Jake Blocker’s version. It reminds me of American Idol when the judges always tell the contestant to make it their own, so they put inflection on different parts of words and just screw it up mostly, which is what Blocker does, in my opinion. But for some reason Sam Outlaw’s Love is on a Roll, where he does essentially the same thing, is pretty good, in my opinion. Hey trigger, been a fan of this site for a few years but first time commenting. Have you heard Gabe Lee debut album Farmland. It’s a lot of acoustic stuff, kinda Bob Dylan feel. Asian guy! Pretty cool if you haven’t heard it. Also Ben Jarrell album is just incredible!! Yes, thanks for the suggestion. He’s got the same manager as Jamie Lin Wilson and he’s on my radar. May feature him at some point.